People use drugs for various reasons. Some people take prescription medications for pain management. Others have a glass of wine every night to relax and unwind. Whether you use drugs medically or recreationally, you may have a high potential for abuse. Understanding the signs of drug abuse can help you or a loved one understand when to seek help. Drug dependence, abuse, and addiction are all different. Drug abuse is the overpowering urge to get and use increasing amounts of any substance. In addition, the condition develops over time and can be difficult to control. Using drugs can lead to dependence or addiction. When you’re dependent on a drug, your body needs it to function normally. Whether or not you feel good when you’re using a substance, you’ll feel worse without it. Withdrawal symptoms appear when someone who is physically dependent on a drug stops using it. Additionally, addiction can be physical or psychological. Overall, it’s a complex condition that affects an individual’s physical, mental, and emotional health. Consequently, drug addiction can also affect someone’s career, relationships, and family life, as well. Anyone has the potential to develop a drug problem. However, certain factors increase the likelihood of having an addiction. Many of these issues stem from childhood and adolescence, according to the National Institute on Drug Abuse. An unstable home environment can increase the risk that someone will develop an addiction. For example, lack of parental supervision can contribute to substance abuse. Children and teens with poor academic performance or behavioral problems might also be more prone to abusing drugs. However, this doesn’t mean that everyone with risk factors turns to drugs. Parents who address behavioral and learning problems while maintaining a positive relationship with their children can prevent their kids from using drugs. Additionally, someone with an addictive personality has trouble abstaining from drugs even when they cause negative consequences. It can be difficult to tell when someone crosses the line from recreational drug use to abuse. Most experts say that substance abuse is experiencing negative effects from using over a 12-month period or longer. Every drug affects people differently. For example, some substances make someone sleepy and less responsive than usual. Likewise, depressants may cause slurred speech, droopy eyelids, or sleeping mid-conversation. Stimulants tend to have the opposite effect. They might make someone hyper, talkative, or jittery. Consistent behavioral changes can be a sign of substance abuse. However, they can also indicate a mental or medical illness. 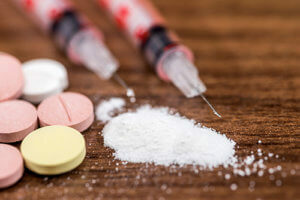 Many people often associate drug addiction and abuse with intense cravings, physical dependence, drug-seeking behaviors, social isolation, and the abandonment of responsibilities. Many people with drug addiction problems never get the necessary help. Avoiding the issue doesn’t make it go away. Seeking professional assistance from a reputable rehab facility like 1st Step Behavioral Health can help you reach lasting recovery. At 1st Step Behavioral Health, we provide in-depth treatment and care to help patients achieve a fulfilling life. Our mission is to support patients as they work hard to develop healthy physical, emotional, and social practices. If you’re wondering whether you or loved one needs substance abuse treatment, call us at 866-319-6126 today. Stop questioning how your world can change for the better. Find out, for certain, how you can take control of your life by contacting 1st Step Behavioral Health in Pompano Beach, Florida.